Are you ready to feel and look younger again? Now you can with Vida Divina’s Youth Capsules. 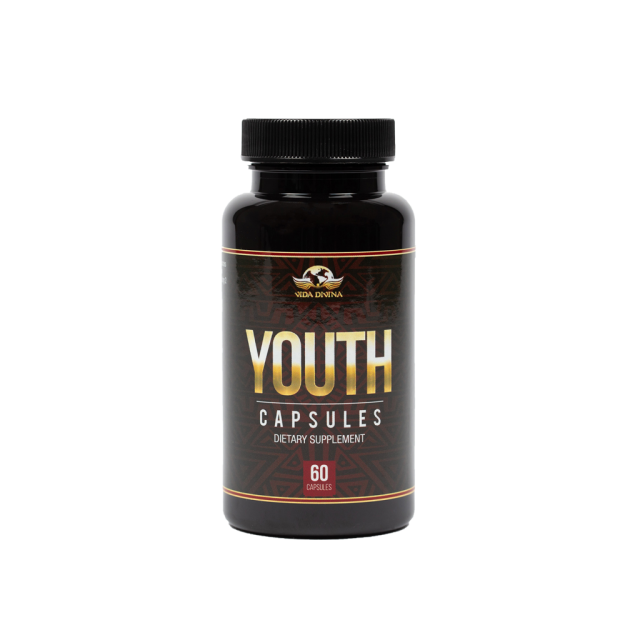 Our proprietary blend of essential amino acids will have you feeling like a teenager again*! Suggested Use: Take 2 capsules daily with 8 oz. of water on an empty stomach or as directed by a health care professional. For best results, avoid eating 2 hours before and after use. 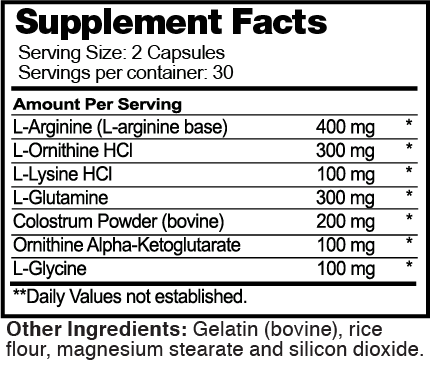 L-Arginine: is an amino acid that helps the body make proteins. ... In addition, your body uses arginine to make nitric oxide (a compound that relaxes the blood vessels). L-Glutamine is one of the most important nutrients for a healthy digestive tract because of its ability to maintain the integrity of the intestinal wall*.